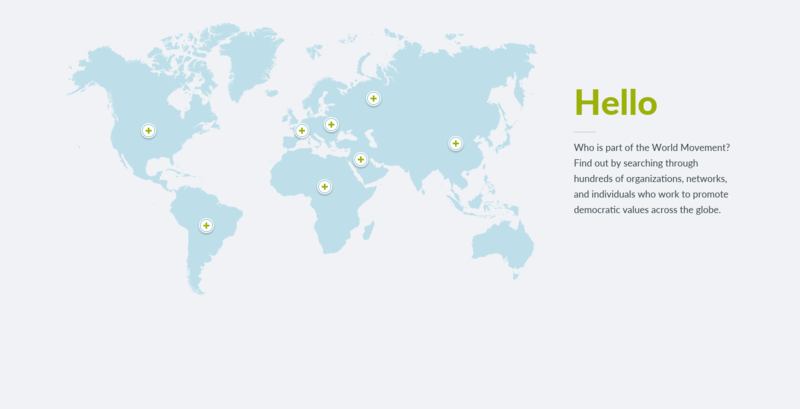 World Movement for Democracy is a global nonprofit organization that works to advance democracy through a worldwide network of civil society activists, scholars, parliamentarians, thought leaders, journalists, and funders. WDG partnered with World Movement for Democracy to reinvigorate their brand, grow their network capabilities with targeted integrations, and migrate the site from Drupal to a flexible WordPress content management system. Create easy administration with flexible content capabilities as they advanced their mission in the international arena. Instituted a more intuitive navigation structure with reinvigorated brand aesthetic for an improved user experience. Capitalized on strong social media presence with targeted integrations. 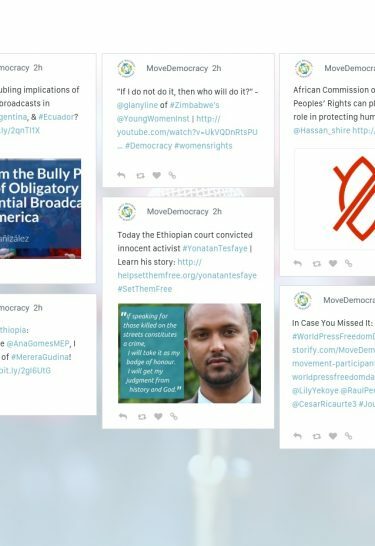 Reinforce position as a global influencer for democracy through increased user engagement. Engagement with users through a mobile responsive News and Alerts system. Strategizing and designing for action. 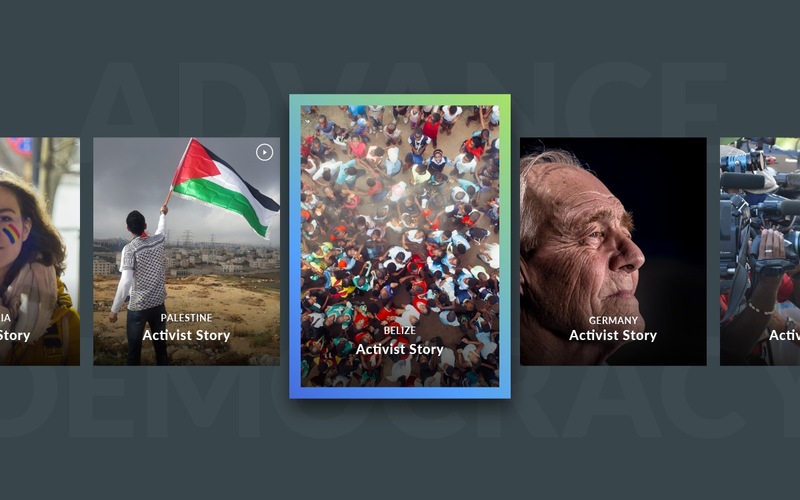 Our design team worked with the World Movement for Democracy stakeholders to establish a striking new aesthetic with reinvigorated branding to promote user action. Our senior designers began by presenting three different mood boards to World Movement for Democracy, with the chosen design best representing the re-energized aesthetic. Gradients, vibrancy, and a bright blue-green color scheme were balanced with dark tones to create a clean, focused design. We incorporated custom hover states, accordion expansion, and other effects in key locations to highlight important information and drive users deeper into the site. With global initiatives, events, news updates, as well as an active Twitter feed to connect users on a global scale, it is vital that the site can perform even in areas of low data connectivity. 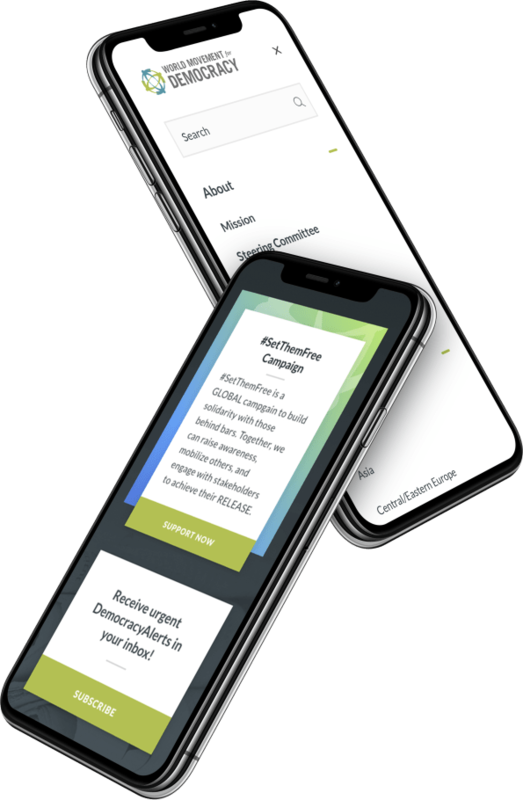 WDG worked hard to provide a mobile responsive site for the World Movement for Democracy. Developing global reach through flexible content. 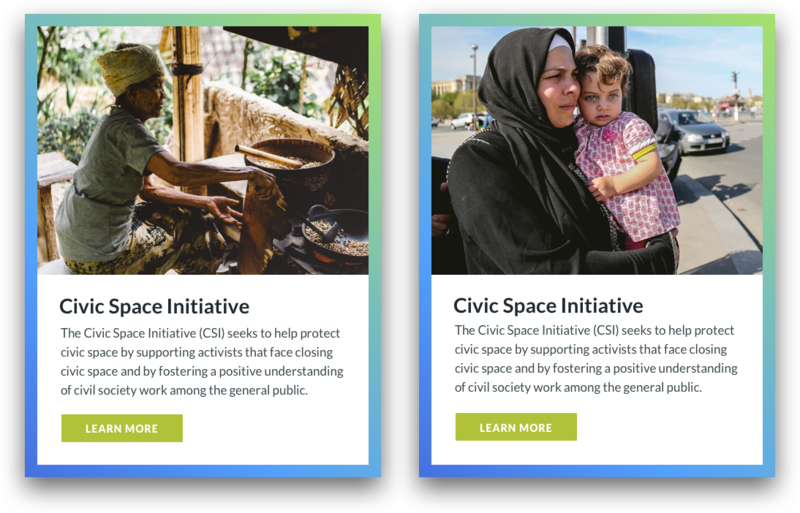 The proactive messaging instituted across the World Movement for Democracy’s reinvigorated site allows users to engage more efficiently and directly with the organization. The “News & Alerts” section leverages targeted social media integrations, specifically incorporating the organization’s highly recognizable Twitter feed across the site. Our team facilitated integration points with real-time updates using the Twitter Feed Pro plugin. 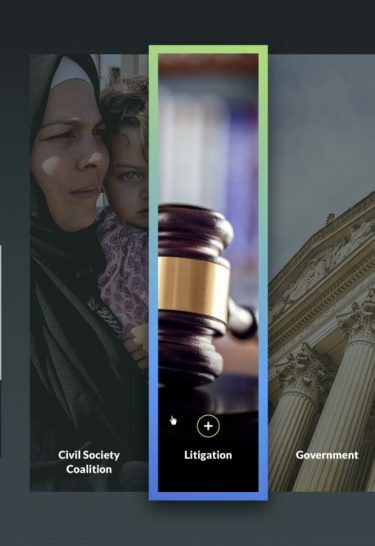 The page also contains easily located Featured News stories and filterable results with faceted search by Region, Country, and Topics for a better user experience.